We invite you to join Rosemary Marchese to celebrate the launch of her new book The Fit Busy Mum: Seven habits for success. Mums are busy women. Whether they are stay-at-home or employed mums of babies, toddlers, teenagers or a combination, including adult children living at home, the demands are endless. The 'me time' for mums at the end of each day is non-existent. Or is it? In The Fit Busy Mum: Seven habits for success, physiotherapist and fitness and health author, Rosemary Marchese is having none of it. Rose knows that busy mums can also be fit mums. As a mother of three she 'gets' that all mums are busy all the time. She doesn't set out to change that. Instead, she outlines how best to use the time there is with a practical, no-nonsense approach to fitting the 'fit' into every day. Please join Rosemary Marchese and family to launch The Fit Busy Mum at 6.30pm on Thursday March 10th at Berkelouw Books in Mona Vale. Bookings are essential and can be made online by following this link, by phone on 9979 2112 or by email to monavale@berkelouw.com.au. Rosemary Marchese is a physiotherapist with over 20 years experience in the fitness industry. She has 'trained the trainers" having written many fitness courses and the new fitness standards for Australia in 2015. She is a successful author with her first book The Essential Guide to Fitness now in its third edition. 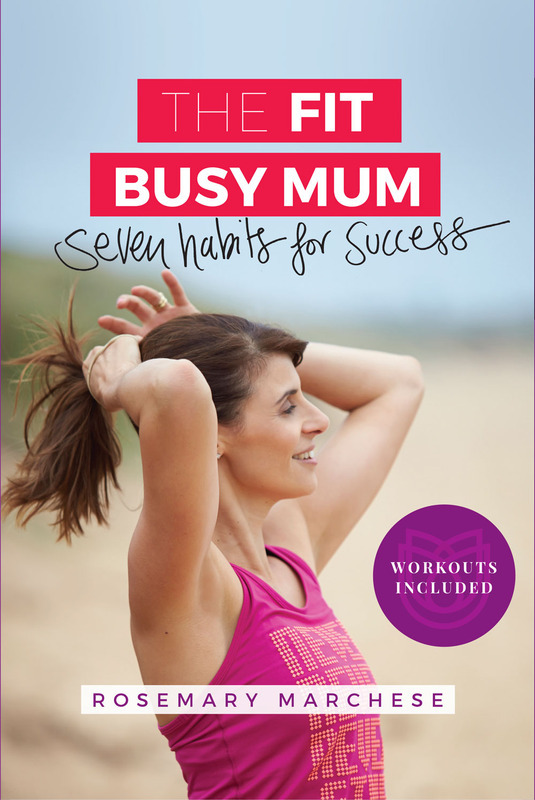 The Fit Busy Mum is her first book for mums. Rose is a highly sought after fitness professional and presenter, both nationally and internationally. She is also a Subject matter expert for The Australian Institute of Fitness and is regularly asked for expert commentary by the media.